Ever noticed your dog holding one paw up out of the snow? We have. Those of us with small dogs even end up carrying them home sometimes. Because even with all that padding, sometimes snow is too much for your dog’s paws. When paws aren’t protected, they’re not only exposed to the cold, but also to chemicals that are used in the winter. Many salts and de-icing chemicals are toxic to your dog and their paws. A bit of preparation can make sure your dog is as comfortable as her owner on all your winter adventures. Don’t worry, though. There’s definitely a solution! 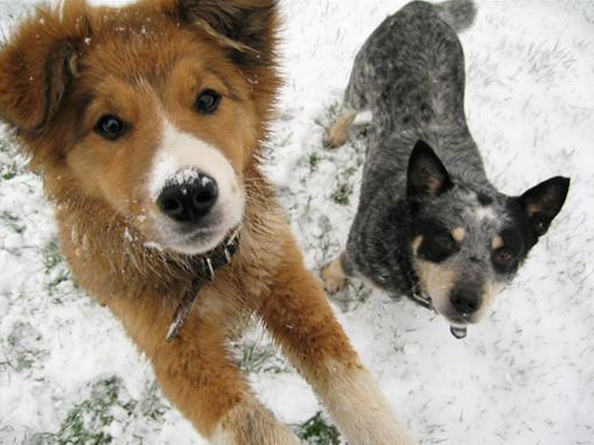 Here are some ways to make sure your pooch’s paws are winter ready. 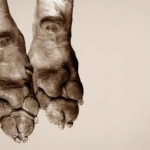 It’s important to keep your pup’s paws well groomed all year round, but especially during the winter. To avoid ice buildup in between paw pads, make sure to trim all of the hair around the paw. It’s also important to keep Fido’s nails short, since long nails cause the paw pads to separate, letting ice and snow build up on the sensitive areas in between. Most dog boots are shaped like a sock, with Velcro or a strap to fasten the sock to your dog’s ankle. When looking for dog boots, aim for snugly fitted, but not too tight. And understand that some dogs will take awhile to adjust to dog boots. That’s normal. To help break in the boots, have your dog wear them around the house and provide plenty of rewards for great shoe behavior. 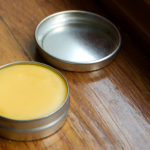 There are a lot of balms available that will protect paws from the ice, salt, and other wintery walking hazards. Apply a thin layer of balm before your walk and, when you get home, de-ice and clean your dog’s paws with a warm washcloth. One more coat of balm to moisturize and prevent irritation after the walk and your dog’s paws are probably feeling pretty happy and healthy. Most of all, when it comes to cold weather exercise, it’s important to pay attention to the weather and adjust your adventures as needed. If your dog (or you) is shivering or showing signs that he’s not enjoying the weather, it might be a great day for some indoor fun. Or you can always wrap them up nice and warm with an EzyDog dog coat. Have any tips for keeping your dog’s paws toasty and healthy? Leave them in the comments below!